you know when you're schlepping a too-heavy backpack and overstuffed carry-on suitcase on your way to the gate, sweaty and harried, only to look across the terminal walkway and see another traveler, impeccably dressed, calmly strolling with what looks to be the lightest of slim carry-ons? every year, i try to inch closer to this ideal of chic and organized travel: a mix of the professional travel-savvy of flight attendants, semi-realistic notions in my mind, and moments of airport inspiration. this gift guide is dedicated to all the moments when you've thought to yourself "why am i carrying so much crap??" while rummaging through a bottomless bag for your boarding pass. 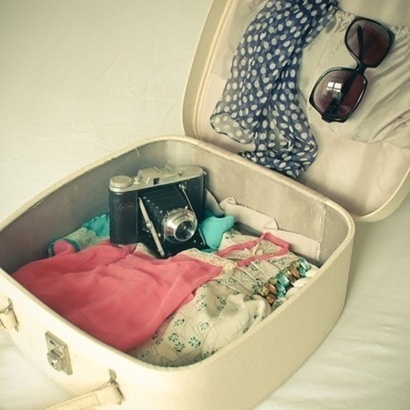 what are your jetsetter essentials? are you traveling this holiday season? I don't know that I'll ever be that chic traveler (I am trying to get better at packing smarter, though). Maybe those APC boots I just bought will help! Haha. it's a gradual process, or so i tell myself! which color did you get? love all the things posted here. great guide!! i would die for a set of noise cancelling headphones. mine are the ones in my post and they're one of the best purchases i've made, hands down. they also prevent me from getting the painful ear-popping from altitude shifts during takeoff and landing. I think I get more excited by the packing than the trip. The funny thing is that I actually have matching sets, but far too impractical to use together (esp. for airport). I'd like to go somewhere too since I bought McQueen/Samsonite luggage for a steal earlier this year. And I think my Margiela/H&M blazer is going to be perfect for travel too. My essentials: wheeled luggage (learned this the hard way), Rick Owens hoodie, long sleeve tee, collapsible sunglasses, mp3 player, tablet, digital camera, driving shoes, scarf. -ps. dont wear button flies through a body scanner. ha - i know what you mean! yep four-wheel spinner luggage all the way! I used to travel lightly until I have a child. I'm so pleased she's 6 now but I shudder when I think back to the days of stroller, car seat, carry ons etc etc... the mind boggles. This is such a great list! thanks =) i think parents who travel with small children are superheroes for the logistical feats alone! Yes to everything here. I like to think that I'm a very chic traveler;) Love gifting travel related items. My essentials- four wheel spinner luggage, oversized sunglasses,baggu pouches a low bun (always), Bose noise-cancelling head phones, moisturizers, scarves (for neck and hair) and Loro Piana cashmere travel kit.